The manufacturing processes & batch manufacturing methods are validated by an independent Quality Assurance Department. In addition we have elaborate Standard Operating Procedures for all our processes. Advik Laboratories has been set up from the ground level with the avowed objective of achieving USFDA standards of quality. 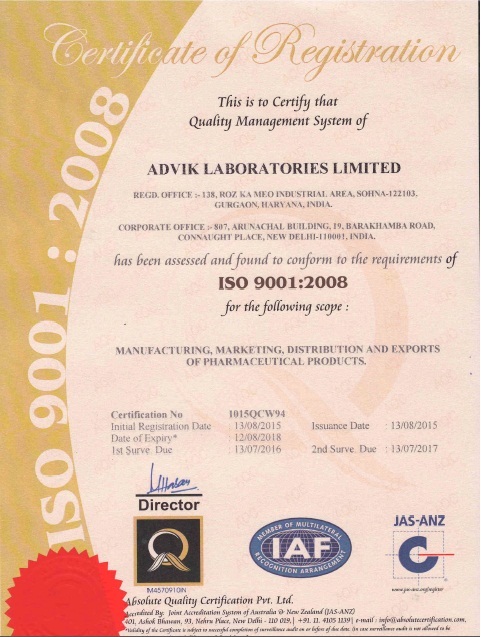 Advik Laboratories a WHO GMP Certified Company, follows the GOOD MANUFACTURING PRACTICES recommended by the WORLD HEALTH ORGANISATION and constantly makes effort to improve upon them. In addition the company is undergoing expansion to meet the provisions of UK - MCA. 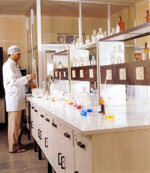 Advik Laboratories provides pharmaceutical formulations that matches the international standards of quality.